GearBrain reviews Android Auto in Hyundai Elantra, one of the first automakers to offer Android Auto and CarPlay in their models. Android Auto Pros: Android Auto takes the Internet of Things to the next level integrating appointments, destinations, music and phone calls to use while driving with simple screen taps, menus or voice commands. Android Auto Cons: You can't use voice commands to read back text messages, limited tech support via Twitter from Google, there is a learning curve and early adopters will want more of what they have on their smartphones than Android Auto offers. Android Hyundai Elantra Limited Edition Pros: Beautiful 8" touchscreen with anti-reflective glass that is very responsive, effective easy-to-use steering wheel buttons, excellent voice and sound quality while on phone calls or playing music, and Hyundai offers better support than Google to learn how to use Android Auto. Android Hyundai Elantra Limited Edition Cons: Most large Android phones don't fit in the front compartment near the required USB port. Connecting our cars to mobile devices is swiftly growing into standard practice. Drivers frankly assume they can answer phone calls, pull up maps and link their playlists to their vehicles. Auto makers and tech firms alike understand this shift in expectations—particularly Google which developed Android Auto to let Android smartphone owners use mobile services in their car. GearBrain tested Android Auto, now available in some new cars and aftermarket units, with the 2017 Hyundai Elantra Limited Edition. Hyundai, one of the first automakers to offer Android Auto through an upgrade to its 2015 Sonata with navigation systems, is now making the system and CarPlay available in more models. The car maker recently release a DIY update for CarPlay and/or Android Auto for select 2015-2017 models with Navigation or 7"screens." Android Auto allows Android smartphone owners to run programs—if they have the Android 5.0 operating system (also known as Lollipop) or more recent versions, installed. Google adapted the most commonly used features of Android to make them easier to use while driving including maps, music, phone calls/texts, Ok Google and Google Now calendar events. Before connecting Android Auto, check to make sure your smartphone is installed with the latest version of the software. Then see if your device is compatible using this link. For this review, I used two of the most popular Android phones: the Samsung Galaxy S4 (SG 4) and Samsung Galaxy S6 (SG 6). Both checked fine for compatibility. On the smartphone's screen, I had to "OK" the Bluetooth pairing request. At this step, you'll want to adjust how often Android Auto pings you. For example, I received a pop-up message on my phone: "ELANTRA is requesting permission to access your contacts and call history. Allow?" I immediately checked the option: "Do not ask me again." Otherwise, I received that message frequently when I reconnected phones. At one point while using the SG 4, the touch screen on the Elantra suddenly went black. (The SG 6 did not produce this result.) I reached out to Android Auto tech support through Twitter, the only way to get in touch with them, and here is the answer I received. Android Auto customer service can be reached via Twitter. Before tweeting them back, I realized that the touch screen just goes black when the cover is on closed. For the best step-by-step instructions on connecting your smartphone to Hyundai's multimedia system, consider checking Hyundai's own site, where you can also find a Bluetooth tutorial on the Hyundai Dash interface under Quick Guides. Additional Android Auto instructions are also there as well. Bluetooth tutorials can be pulled up directly on the dash screen. Finally, after the initial Bluetooth pairing, an Android Auto icon appeared on the Hyundai home screen, which tapped to launch the system. Do note that once you've launched Android Auto, all Hyundai menu functions are going to be locked out until you return to the Hyundai menus. Also, while connected to Android Auto, you can't operate commands on your smartphone. Instead, you must use the car's center touchscreen or use voice commands found through the steering wheel buttons. Once everything is installed and connected, you're now in for the fun. At first launch, the home screen shows what Google and Android know about your life—including details culled from your Android smartphone and Google Account on what are called Google Now cards. You'll see your appointments and upcoming events based on your Google Calendar, even the current weather. The icons on the bottom represent navigation (which looks like an arrow in a road sign), phone (showed as a telephone handset) and music options (noted as a headphone icon.) The circle in the center of the screen is the home button, while the icon that looks like a gauge returns to you Hyundai's System. Tapping each icon launches the corresponding feature. The Android Auto main screen at work. By far the most practical feature of Android Auto is the Navigation tool, which uses Google Maps. How so? After entering an appointment on my Google Calendar along with the address where I needed to go, I received a warning on my smartphone about the best time to leave, based on traffic conditions. Once in the car, I connected the phone to the Elantra, tapped the appointment on the touch screen launching Navigation, which brought up the fasted route to the appointment along with directions. Android Auto also estimates the time of arrival using the familiar female voice you hear when using Google Maps or Ok Google from your Android phone. Another way to navigate? Just push the voice command button on the steering wheel and say, for example, "Navigate to Vons Market." Android Auto brings up a map, with the destination name and arrival time—updated constantly—on the screen, also announcing both. Steering wheel buttons can be used to control Android Auto. You can also ask aloud, "What time will I arrive at my destination?" and Android Auto will tell you out loud. While driving, you can pinch to zoom in and out of the map (at traffic lights, please) and directions can be viewed in steps by tapping on the arrow. Navigation also allows you to browse categories or recent places, mute the voice guidance, turn on—or off—traffic indicators, and select a route that avoids highways, tolls or ferries. Select if you want to avoid highways, tolls or ferries in making your route. Voice commands are the best—and also the most frustrating feature of Android Auto—because there are some training wheels needed to get used to the system. I found Android Auto worked best when I used key words the system understood, based on Ok Google commands, and activated by pressing the voice button on the steering wheel. "How long does it take to Disneyland?" I asked Ms. Ok Google, and she told me how long the drive would take. She also will read out my schedule, when asked "Do I have any appointments today?" "Got it. Regina Cooke. Do you want to call home or mobile?" she asked. I learned how to ask Ok Google to send text messages, telling her the person I wanted the text sent to—and she read the messaged back. "Do you want to send it?" Well, yes I did. So she sent the message. Not everything could be handled out loud, though. Receiving text messages had me baffled. She couldn't? read the text message a friend had sent on my way to his house. A notification flashed on the map screen, "Text message from Chad." I commanded her, "Read Text Message!" She replied, "Not sure how to help with 'read text message.' Actually, I can't read out text messages, yet." The help provided by Googling, "Android Auto help," didn't offer any additional insight on reading text messages either. So I contacted Miles Johnson, Senior Manager, Quality, Service and Technology at Hyundai, who said to get text messages read out loud, you have to tap the message pop-up on the car's touchscreen. There are additional features where you need the touchscreen as well. For example, when I wanted to find a McDonald's and said, "Find McDonald's" the screen displayed three choices A, B, C and D.
Saying, "Go to A" produced no response. I actually had to tap the "A" on the screen. Asking, 'Navigate to the closest McDonalds," directed me to the closest location and prompted the response: "Alright, McDonalds. Let's go!" Which McDonald's shall we choose? One benefit? I could tell the system to call a location, such as "Call Pizza Hut," if a phone number was provided. Let's be honest: Testing weather forecasts in Southern California is tricky because we enjoy fairly mild temperatures and more than our share of sunny days. Also, Android Auto's weather feature isn't real-time. The screen showed my area as cloudy for over a half an hour—when it was, in fact, raining. Even sunny California is known for the occasional downpours. In Southern California this isn't too much of an issue. If I lived where tornadoes or snow storms were a concern, I would not trust the Android Auto weather feature. The steering wheel's voice button did a great job handling calls. Playing further, I also found I could launch the phone call screen just by pressing the phone button on the steering wheel. That also allowed me to dial numbers, an important feature when I was put through a voice mail system which told me to, "Push one for accounts receivable." A dialpad comes up on the screen. The only thing I found missing from the phone feature in Android Auto? A way to access my full list of contacts. Instead, Android Auto only shows recent calls and favorites. If I didn't remember the full name of one of my contacts, I had to go to the Hyundai phone menu or look at the phone itself. Neither is ideal for driving. Sound quality, though? Excellent. A friend used to me testing Bluetooth calls from my car told me he thought this was the best he's heard so far. Calls received from both landlines and cell phones also tested very well. Android Auto also connects to the same music systems as I do, including Google Play, Spotify, Pandora and Stitcher. You can pull up a number of music programs directly on the screen. When I tapped the headphones icon, I could select which music program I wanted to launch including Google Play and Pandora (again, when the car is stopped please), and then scroll through the menus of songs while the car is in park. Android Auto will only let you browse tracks when the car is in park. But frankly the easiest way to play music was to push the voice button on the steering wheel and say, for example, "Play the Beatles on Spotify" and the program would do that. But Android Auto often got confused, especially with lesser known artists. Over time she did get better at launching the correct song or music program. She did remember where I left off. For example, if the last time the phone was connected to the car, I was playing Billy Joel, that song would show up right on the center home screen. But if I said "Pause the music," she brought up directions to the Paws Music Academy. Instead I had to tap the "pause" button on the screen. The music forward and reverse buttons on the steering wheel worked in Google Play, Spotify, Pandora and Stitcher radio. And when I stated, "Stop the music" that worked. As I got more used to the system, and Android Auto to me, she did pause the music when I asked. Car owners who know the joy of automatic wireless Bluetooth phone calls may balk at having to actually take their smartphone out of a pocket or purse, and then connect to the car with a cable. We get that. But Android Auto runs on the smartphone, using your data and the phone's processor to process commands. So without that cable connection your smartphone would lose its charge rapidly. However cables can bring about glitches. And I did have a few. To start, both the GS 4 and GS 6 didn't fit into the car's front compartment with the cord connected. "What time will I arrive at my destination?" I asked her. I heard a beep and then n-o-t-h-i-n-g. I realized the cable may have the problem when I was charging the SG 6 at home and saw the charging symbol flashing on and off. When I used another new cable, everything worked fine. 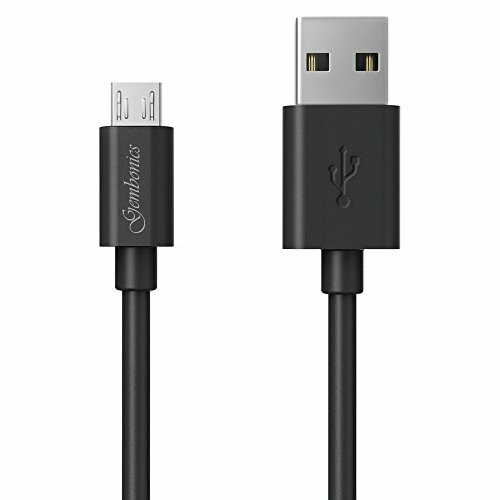 Also, because of the constant connecting and disconnecting of the cable when you get in and out the car, I suggest getting some extra cables and keeping them in your vehicle. No, this isn't ideal. But yes, you'll be grateful when you need them. I didn't notice a big difference in responsiveness or time between the SG 4 and SG 6 on most Android Auto features. Where I did notice a lag was in loading times for complex mapping functions. If you are a heavy Android Auto user—and are coming up on phone upgrade—consider an upgrade. Finally, because Android Auto is a bit complicated and, frankly, high-maintenance, you may need some help. Hyundai and Kia Motors videos for texting, best practices, phone calls, searching and overview offer excellent guidance for using the features. You can also go to your Hyundai dealer for a demo or call Hyundai support toll-free. Always keep in mind, as well, to operate Android Auto and its features safely. While I spent many hours in driveways and alleys testing the system, I attempted to test one at a light, causing cars behind me to beep. (If this was you, I apologize.) So before using the full features, consider trying Android Auto in a parking lot or garage. Your fellow drivers? They'll thank you. Let's stay safe out there folks.